Our story begins in October of 2010 when my fiance Jordan and I found out we were pregnant. We were excited, but also scared. This was our first pregnancy and we had no idea the amount of love we would experience for our baby. I had nausea a lot early in pregnancy and as we reached 15 weeks, my nausea subsided and I started to enjoy all aspects of my pregnancy. I felt so happy and full of life (literally). At around 16-17 weeks I started having some pain in my lower abdomen area but when I told my doctor and researched online, I was told it was round ligament pain and dismissed. It subsided slowly until it was gone. On February 15th I started feeling the pain more and more. I was convinced that it was not normal anymore and that night, Jordan and I went into the hospital to get it checked out. I had no idea I was feeling contractions and I was in store for a lot more pain. When we reached the hospital, I was checked by the ER doctor and sent for an ultrasound. At this point we had NO IDEA that anything was wrong and Jordan enjoyed seeing our son move and wiggle around on the ultrasound machine. The ultrasound tech would not tell us anything that was going on, I was even a little excited because this was a few days before my gender ultrasound and I thought we might get a sneak peak of the babies gender. The ER doctor came in an hour later and told us that our ultrasound results were a "little concerning" and that we might be miscarrying. I immediately started sobbing, how could this be happening? This pregnancy was flawless so far. And now is might be over? No way. My OBGYN came in later and told us they would try to do an emergency cerclage. After they gave me a spinal block anesthesia, they told me my membranes were bulging and they could not do the cerclage. I had no idea what to do next. No one in the hospital told me about Trendelenbergs position, medicines to stop labor or anything else. I was just told that my baby would come soon and if he didnt, we needed to induce in order to save my life in case I got an infection. The next day was a blur, I was in complete shock. 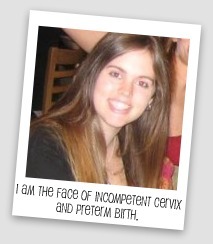 I had never ever heard of incompetent cervix, my baby was happy, kicking and alive. But we were going to lose him because he was just too small. The next night, the doctors gave me some pills and within an hour, sweet baby Liam was born. He was tiny and the doctor told us he was born sleeping. No heartbeat. I was so scared and drugged that I just gripped Jordan's hand as the doctor removed my placenta. I was losing a lot of blood and ended up needing a blood transfusion so save my life. The next day, the nurse told me that our son did in fact have a heartbeat and lived for 45 minutes. I was sick when I heard the news. Liam was alive for almost an entire hour and we were never ever told. I would have fought through my fear and held that sweet baby for his entire short life I knew he was alive. I still regret not holding him. I feel guilty and terrible about it. Why were we told he was not alive? It's not fair. Life is not fair. After we were released from the hospital, we stayed in bed for days. We barely ate and I just sat and sobbed for Liam. I miss him in my belly, I miss his kicks and just knowing he was safe. At the funeral home, we held Liam and kissed him. We finally got our chance to bond, but it was different. It was 4 days later and it was not the same. I am still very angry that we never got to hold Liam at the hospital. Almost two weeks later and I can say that the pain is still raw and will always be with me. I find hope and strength in the fact that Liam is our guardian angel, he is watching us from above and waiting patiently until we meet again in heaven. I think of baby Liam is a brave hero, he had to pass away so that we would find out about IC and his brothers and sisters could one day be born. We love you Liam, always and forever. I'm so sorry for your loss Jessica. Thanks so much for sharing your story. Take care. Jessica, We lost our daughter Ruby just one day after you at 22wks due to the same thing. We feel utterly robbed and I sob every day for her. I can relate to your story. I recently lost twin girls and shared my story a few weeks ago. Liam will forever be in our Hearts! That angers me you weren't able to hold him. Terrible. Thanks for sharing. It's a very hard road. 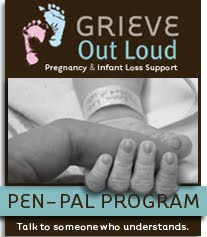 So sorry--in Oct. 2010 I lost my baby boy at 18 weeks also. We do not know why he died. I wish you only the best! 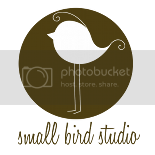 Lots of blogs out there with moms in similar situations and it can really help to read them. I can relate I lost our son Garrison due to IC.